You know how in the movies, when a little girl enters a shadowy forest alone, the music grows dark and she begins to hear hissing, whispering voices from all sides? So she starts to run and branches tear at her hair and she falls and her dress catches on thorns, leaving a path marked by tatters and threads as she moves deeper and deeper into the woods. Tears streak her face. She hears footsteps, but sees no one; hears a cackling laugh, but she can't pinpoint from where. Her world spins. Night falls. She is cold and shivering. Anytime you do something unconventional it can open the door to your shadow side. Anytime you leave a well-marked path for that which only makes sense to you you can find yourself poised for descent. Whenever you embrace all that is unknown it can thrust you into the wild. I plunged into my mine this week as I left the conventional world of steady paychecks and glistening corporate ladders to crash into the dark wild forest otherwise known as “the rest of my life.” What I didn't expect, as I gulped sweet, heady breaths of liberty, was instant resurrection of my shadow. In a recent letter to my tribe I shared an exchange with a friend. “What does it mean when you can't handle it anymore?” I said, talking about leaving my job but really talking about the sneaky shame which flares up anytime I rebel against imaginary conversations with people who sound like my internal mom. “I mean, for some people there comes a point when you really can't handle it anymore. And then what? Do you have to start slicing up your arms to prove it?” ... Now I'm backed into a corner with a mob of angry, imaginary conversations spitting words into my face: Wait, you're in debt, you have bills and you still quit? What, you're a little baby and you can't deal when life gets hard? You think you're too good to put your fingernails in the dirt? Well, news for you sweetheart: other people do hard things every day. Other people don't bail when life gets tough. Other people sacrifice their dreams because they act like adults and do what needs to be done! Who do you think you are? Right now I'm staring out the window as a flirty breeze makes love to my windchimes. Before me is a glass jar filled with fresh flowers: cheerful gerbera daisies, long wild grasses, perky leaves with sweet little peeks of magenta tucked in. My husband bought them for me. Every couple of weeks or so he comes home with a new bouquet, sometimes with the “reduced for quick sale” label still attached. I have to trust this. I have to trust that I'm worthy of fresh flowers. I have to trust that I'm loved. On July 6 I'm going dark. I'm intentionally seeking descent into this vicious onslaught of shame so that I can dig through its sordid roots. My friend Mandy Steward and I have created a way to do so through our intense, guided eCourse called Into the Dark Night—A Guided, Creative Descent into the Shadowlands of the Soul. I need this right now and Laura has graciously invited me to share this with you in case you might need it, too. As The Wild Mystics, Mandy and I see ourselves as wild women of the wilderness. We have dreadlocks and feathers in our hair. We follow the seasons of the moon. The night air whips our skirts into chaos until they shiver like prayer flags in the wind. Love, consider this your invitation to join a gypsy tribe, a motley gathering of the poet and the prophetess, of artists, dancers, seers and mystics, earthen sisters unafraid to mine the seasons of life / death / life and seek the wanton truth packed in our bones. As your wild gypsy guides through the shadowlands we are here to hold a mirror for you to peer into the wild fields of your Self. We provide an array of soul-prompts and assignments to help carve your truth from the wildlands within. We gather with you in provocative ritual. We press our knees to the earth. We light incense and howl and listen to the wild. We plunge into the dark forest together, so we each are not alone. 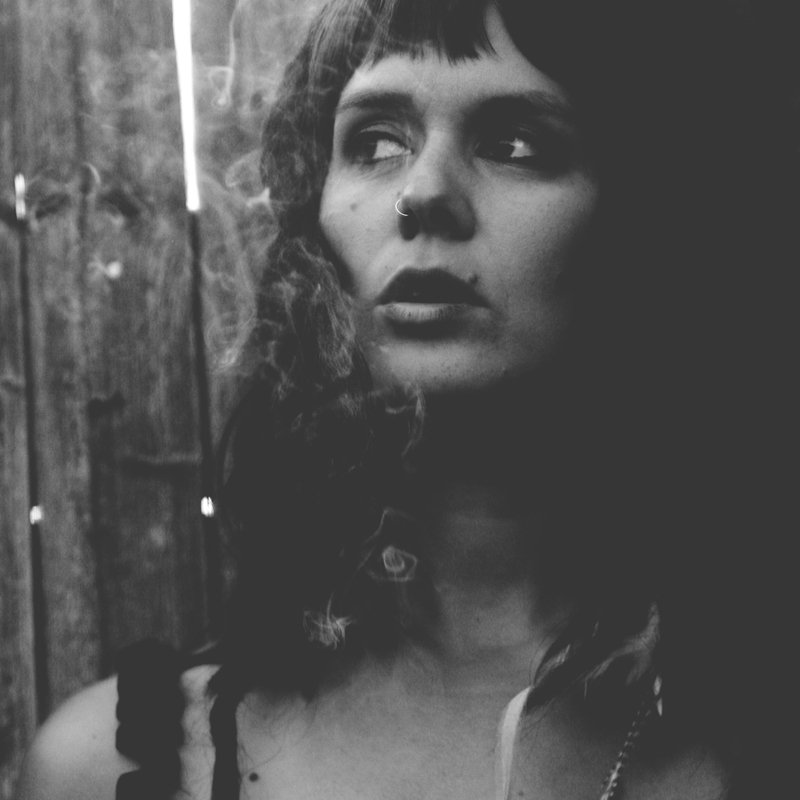 Hillary Rain is a gypsy mystic who sees her life as a shadowy bohemian tale of mystery and grace. “I want my own language,” she says. As a writer and artist she considers herself a soul-doula who bears witness to the renewal of life and the holy-hush fleshing out of soulskin. Hillary is the founder of Wild Mystic Magazine, a holistic lifestyle magazine for the feminine mystic (launching late 2014) and the co-founder of The Wild Mystics. Her writing is featured along with a soulful Bohemian Collective of gypsy artists + moon sisters and she is co-mama of Soulsigh, a sacred experience for women designed to honor the creative feminine through ritual and rebirth. She writes about sensuality, spirituality, and the shadowed nuances of her creative life at spiritsoulearth.com.